Nowadays, Hindutva activists often use Dr. Bhimrao Ambedkar, a leader of the former Untouchables, as a shield: he is above criticism, a kind of secular saint, and on some points he defended the line which would now be denounced as “Hindu communalist.” Ambedkar is well-known for opposing Mahatma Gandhi’s paternalistic views on the liberation and uplift of the untouchables particularly with his acceptance of the Communal Award giving separate electorates to the untouchables. His bitter dislike of Gandhi became even more intense when Gandhi forced (“blackmailed,” according to Ambedkarites) him by means of a five-day “fast unto death” to abandon the separate electorates in favour of a compromise known as the Poona Pact of 1932, amounting mainly to reservations for untouchables in parliamentary seats and job recruitment. But the rights of the untouchables were not his only point of difference with Gandhi. The Mahatma has often been accused of Muslim Appeasement, most pointedly by Nathuram Godse, and Dr. Ambedkar made that criticism his own. Indeed, his lengthy survey of the evolution of Hindu-Muslim relations ever since Gandhi’s appearance on the Indian political scene is in exactly the same scathing tone as Godse’s apology, and drives home the same point: that Gandhi was unrealistic and foolhardy in his pursuit of Muslim support at the expense of Hindu lives and interests. The point she makes is not that Islamic dreams of world conquest are inevitable, on the contrary, she attributes the revival of such dreams to the contingent impact of Gandhi’s maladroit Khilafat campaign. Among the non-Muslim leaders, Dr. Ambedkar was probably the only one who accepted the Partition of India before the power shift to the League’s advantage of 1939-44 and the bloody events of 1946-47 more or less forced the acceptance of Partition on India’s political class. At that point, of course, he was poles apart with the Hindu nationalists. In a lengthy chapter, Ambedkar argued that neither Savarkar nor Mahatma Gandhi had a solution for the problem that Muslims were unwilling to live in peace as a minority in a secular state. He even says that suppression of a minority (which, according to him, was not Savarkar’s intention), of which “the aim is to bring into being one nation,” is preferable to having two distinct nations living together in one state. Ambedkar envisaged Partition as a complete territorial separation of Hindus and Muslims, implying an exchange of Population between truncated India and Pakistan. He had worked this out in detail, with blueprints for the transfer of pension rights and property rights. It is quite likely that the implementation of his plan for an orderly division, with an orderly exchange of population, would have saved hundreds of thousands of lives. By contrast, Gandhi’s and Nehru’s refusal of this exchange, effectively sacrificing the Hindus in Pakistan to the dogma of Hindu-Muslim unity, made them responsible for the deaths of hundreds of thousands of innocent people. The above article is an excerpt from the book Mahatma Gandhi and His Assassin, authored by Koenraad Elst. The author, a Belgian orientalist and Indologist, is well known for his writings on Indian History, Hindu-Muslim relations, and comparative religion. 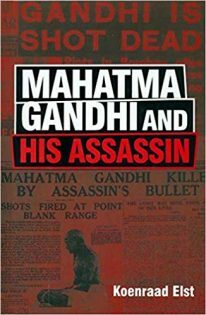 Click here to buy Mahatma Gandhi and His Assassin, published by New Delhi based ‘Voice of India’. Featured image courtesy: Pinterest and QuotesNew.com. Disclaimer: The views expressed here are solely excerpt from a book. My India My Glory does not assume any responsibility for the validity or information shared in this article as excerpts from the book. 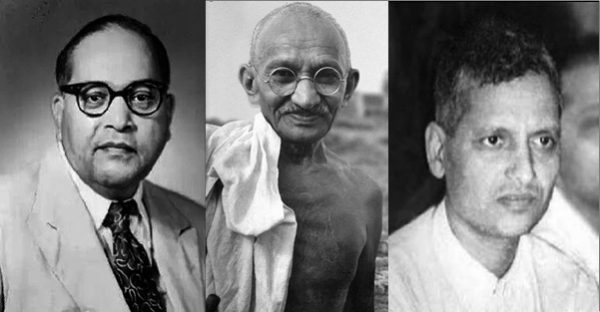 Godse’s Verdict on Gandhi; Partition that Displaced 11 Million Dalit Madurai Veeran Worshipped by Brahmins As Devta: Ambedkar’s Divisive Theory Falls Flat Why Sikhs are against Khalistan Agenda? Why Indira Gandhi was Killed? 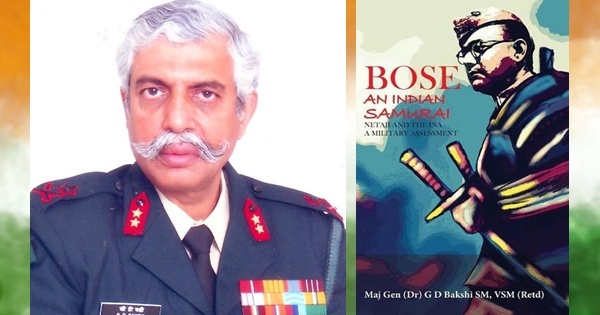 Sabarimala Case: ‘Ready to Wait’ Campaign Appeals Hindu Devotees for Support Netaji, not Gandhi got India Freedom, Claims GD Bakshi’s Book Modi Vs Gandhi: What is there in a Surname?